See William Eaton and the Soldiers and Sailors’ Monument full document PDF. See also, Sandwich and the Civil War, reprinted, with permission, from the Fall 2011 issue of The Acorn, Journal of the Sandwich Glass Museum. 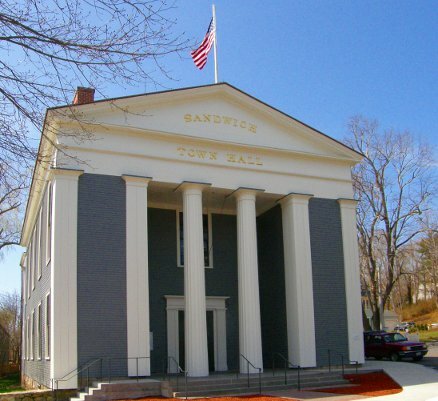 101 years ago, the town of Sandwich celebrated a very special Memorial Day. On May 30, 1911 William Eaton, who started working in the B&S Glass Factory at the age of 8, donated a 30 foot Civil War Monument to the people of Sandwich. William was a boy of 12 when the war started and had, for 50 years, admired and appreciated those who fought for the Union. The memorial was erected next to the Town Hall on a piece of greenery that became known as Eaton Square. The Soldiers’ and Sailors’ Monument is still there today for all to see. The dedication took place on a rainy day, but that did not dampen the spirit of the throngs of townspeople and visitors who turned out for the festivities. There was a parade lead by the band from the Keith Car & Mfg. Company and, the full crew of the Revenue Cutter Walter W. Gresham, Civil War veterans from the GAR, school children and a host of town officials. There was even a recital of Lincoln’s Address at Gettysburg. Patriotic speeches were given including one by the keynote speaker, John F. (Honey Fitz) Fitzgerald, the Mayor of Boston and the grandfather of President John F. Kennedy. Mayor Fitzgerald spoke of the custom of various nations honoring their great generals, but said the United States was the one nation to recognize the common soldier in granite. During the years from 1861 to 1865, 386 men from Sandwich enlisted in military service. Approximately 100 of these were glass factory workers. Patriotic fervor was running high and Deming Jarves, the head of the glass factory, suspended the rents of any factory worker who enlisted in the war. Volunteers reduced the number of workers in the factory and glass production decreased. It would take years to rebuild the manpower at the factory. By the war’s end 54 Sandwich men had died on the battlefields or from wounds or diseases contracted while in service. Civil War Dead – Sandwich MA For a small town of 4,500 people, this represented a tremendous sacrifice. It was within this atmosphere that William Eaton spent his early teenage years at the glass factory in Sandwich and as head of his family household. The beautiful natural setting of the Benjamin Nye Homestead & Museum surrounded by several other 18th century colonial homes makes it unique. 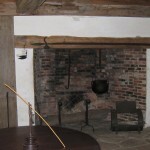 The house was built by Benjamin Nye, one of the first fifty men to settle in Sandwich. 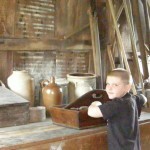 Given permission by the town to erect a mill by the stream from his pond, Benjamin Nye built one of the first grist mills in the country in 1669. 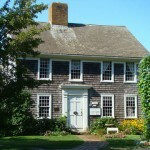 Later he also built a fulling mill nearby, and this home in 1678. See, also, the MACRIS form here. 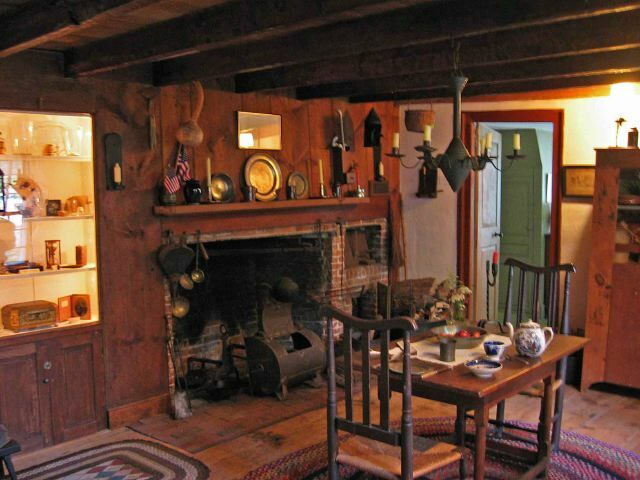 The oldest house in New England owned and occupied continuously by the same family for over three centuries. Built in 1641, this house was traditionally called the Fort House because of its possible use as a refuge from Indian attack. 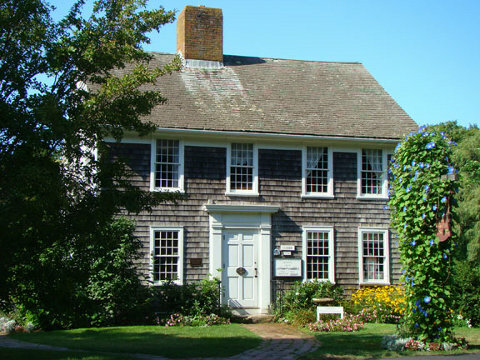 In 1646 it became the home of Stephen Wing, one of the early settlers of Sandwich, son of the Reverend John Wing and Deborah Bachelor. 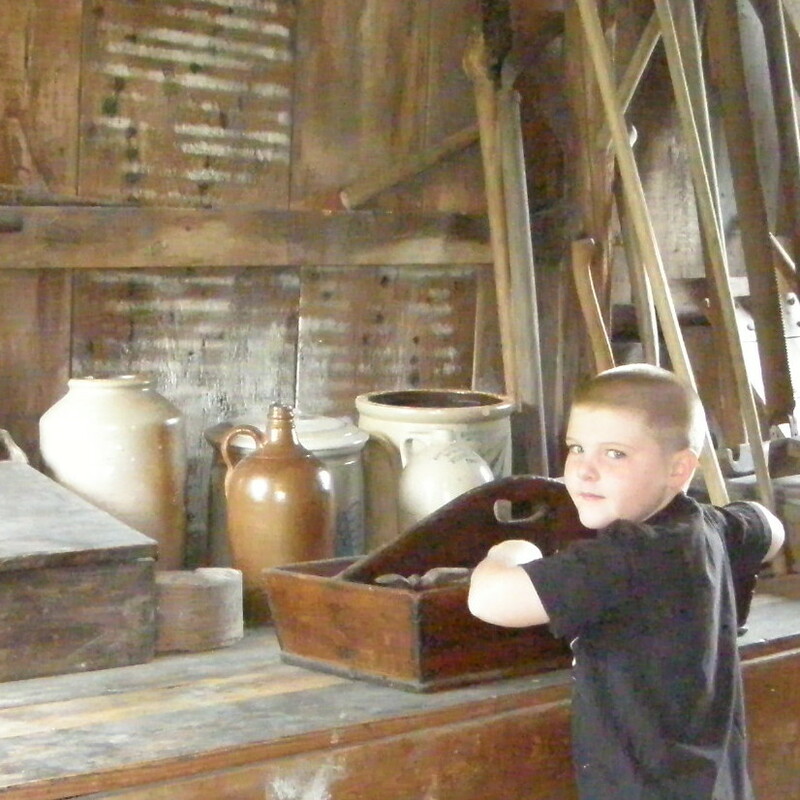 Stephen and his descendants occupied the house from then on, adding on as families grew and changing tastes dictated. Now restored, it is furnished almost entirely with Wing family antiques showing the different periods of its long history. 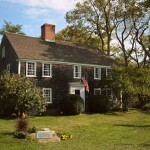 The house is maintained by the Wing Family of America and open to the public. 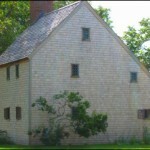 This classic Saltbox was presumably built circa 1675 and is most likely the oldest Saltbox on Cape Cod. It was the home of the town’s second minister, Rev. John Smith, his wife, Susanna, and their 13 children. 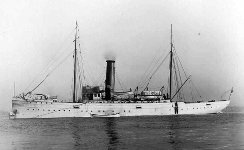 It is named for Abraham Hoxie, a Sandwich whaling captain who bought it in the 1850s. 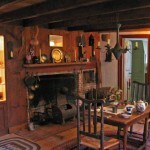 Remarkably, its occupants lived without electricity, plumbing or central heat until the early 1950s. 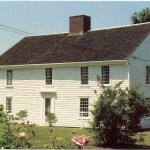 In the late 1950s, the town purchased the Hoxie House and restored it to its current late-17th-century condition. 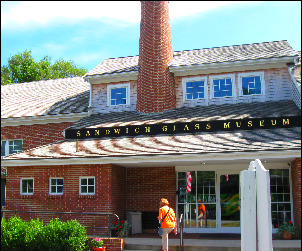 For over one hundred years the Sandwich Glass Museum, incorporated as the Sandwich Historical Society, has promoted a broad understanding and appreciation of Sandwich town history, with particular emphasis on the unique contribution of the glass industry to the local community, the region, the nation, and the world. 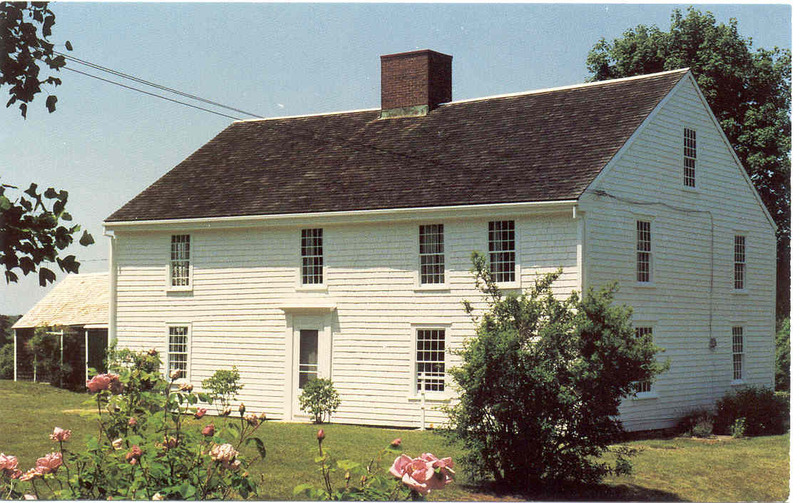 The former home of the Thornton Burgess Museum on historic Shawme Pond was built in 1756. It is owned by the Town of Sandwich and is currently vacant. Heritage Museums and Gardens, 100 beautifully landscaped acres overlooking the upper end of Shawme Pond, includes gardens and a café as well as an impressive complex of museum buildings with specialty collections ranging from cars to toys. A highlight is the Shaker Round Barn, which showcases classic and historic cars—including a 1930 yellow-and-green Duesenberg built for Gary Cooper. The American History museum houses the Cape Cod Baseball League Hall of Fame as well as antique firearms, a collection of 2,000 hand-painted miniature soldiers, military uniforms, and Native American arts. The art museum has an extensive Currier & Ives collection, Americana, antique toys, and a working 1912 Coney Island-style carousel. 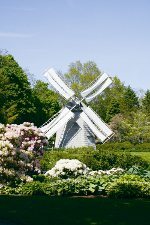 Paths crisscross the grounds, which include gardens planted with daylilies, hostas, heather, herbs, and fruit trees. Rhododendron enthusiasts will recognize the name of onetime estate owner and hybridizer Charles O. Dexter; the rhododendrons are in full glory from mid-May through mid-June. Daylilies reach their peak from mid-July through early August. In summer, concerts are held in the gardens, often on Wednesday or Saturday evening or Sunday afternoon. Hi i am researching the Old town Cemetery for a school project, could anyone tell me when it was created, and some of the oldest graves there? thanks. How long has Eaton Square been part of Sandwich. Was it also donated by Mr. Eaton when he erected the memorial? or was the land always part of town owned property? On town golf course at 8th hole there appears to be a morselium. Who is bury there? And what are the dates regarding the deaths and construction of the site? Round Hill’s problems go back to 1970 when it was being built. Founder Sam Volpe, who is buried in a mausoleum to the left of the eighth tee, was a stubborn construction company owner. He built the course when he was constructing airplane hangers at nearby Otis Air Force Base. He also built Cape Cod Community College. Furious that his architect was spending too much to complete the front nine, Volpe fired him and took it upon himself to build the back nine. He used his own construction crew to complete the course. It was a mistake. The back nine consists of a very poorly laid out holes with hills and dales galore and hardly a level landing spot in the fairways. Subsequently, the Town of Sandwich bought the course, largely to prevent 400-500 homes being constructed around the course and entry way. As you drive along the entry road for the golf course you will see several intersections with unfinished roads. These were part of the planned housing development. Based on articles from the Boston Globe of 8/3/2000 and a local Cape paper (not identified) in 1972. 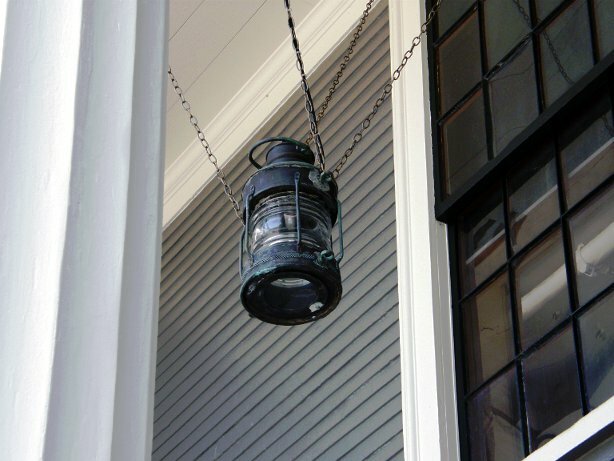 “Having gotten your email address from the Sandwich Historical Commission website, I am hoping you can direct us to someone who can help identify a building. Several of us were riding through Sandwich Saturday last and stopped to take pictures of Dexter’s Grist mill. We published pictures of the mill and pond area in an international adventure riders’ forum and received a number of questions questions about the building, shown below, that sets just off Grove Street on the Shawme pond. That building seems to have, for whatever reason, piqued some interest and we’re wondering if it was a boat house or something else. Regardless, thank you for any/all consideration. We’re finding that our riding throughout New England is having a postive affect on promoting the area. (See http://advrider.com/forums/showthread.php?t=972857 for out day-tripping thread or http://advrider.com/forums/showthread.php?t=972857&page=39 for the grist mill post. Private messages and one follow-on post are suggesting some interest in Sandwich and the mill. It is known as the Pope/Wesson Boat House c. 1890. 15 Grove Street, MHC #263, 1902,NRHD1975), a small square building that sits at the edge of Lower Shawme Lake. The building is sheathed in wood shingles and has a low-pitched, hipped roof covered with asphalt shingles. Looking at your photograph, it looks like the boat house is stepping into the pond. “Unmarked graves, mortuary artifacts, structural evidence of stables, hearse houses, outbuildings, and archaeological evidence of fences, walls, and other boundary markers may survive at three cemeteries located in the district. Old Town Burring Ground is the town’s oldest cemetery, located on a small neck of land on Lower Shawme Lake on the east side of Grove Street. Gravestones from Town Cemetery were reportedly removed from the cemetery and thrown in the Lake; however, a recent archaeological survey during a draw down of the Lake for work on the dam failed to corroborate this statement. The cemetery was established in 1663 and contains one and one-half acres of land, with the last burial occurring in 1939. Thank you so much for visiting our little town by the pond. 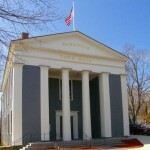 Here is a link to the history of Barnstable County written in June of 1890. Maybe that was the first summer our boat house dipped it’s toes into Shawme Pond. Can you give me any information or pictures of the building it was on. I recommend you contact our Sandwich Town Archivist, Barbara Gill at the Sandwich Public Library. When did the Thornton Burgess Museum closed? I am shocked! As a follow up to action taken by the Burgess Society’s Board of Trustees, the Thornton W. Burgess Museum, now closed for the season, will not reopen and will close to the public permanently at its present location. This was a most difficult decision for the Board to make, but one which was necessary for the fiscal health of the Burgess Society. 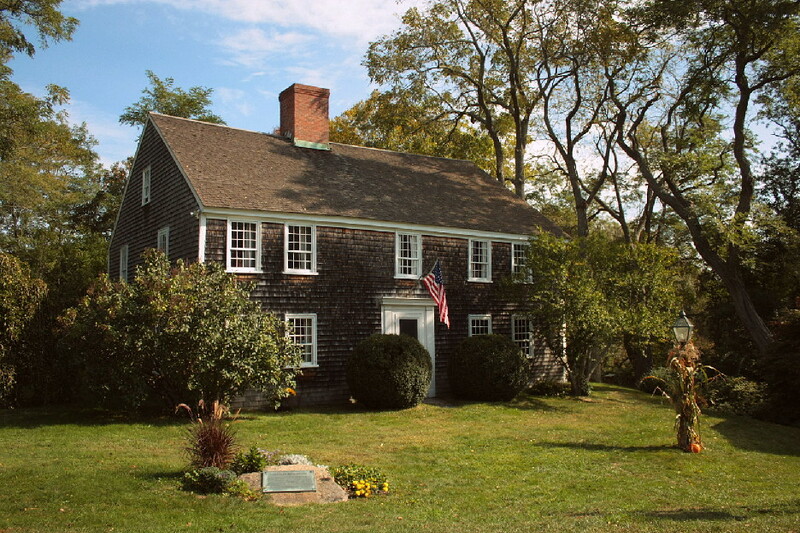 In 2012 the Town elected to sell or otherwise dispose of several properties it owns, and the Deacon Eldred House was one of the buildings selected. 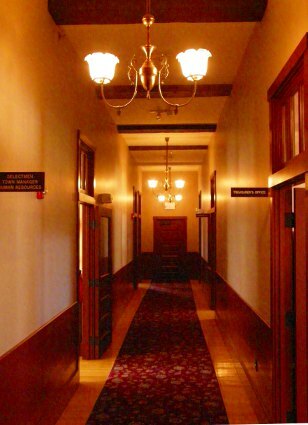 At the end of the year, the Town circulated an RFP (Request for Proposal) offering the building for sale with certain limitations. 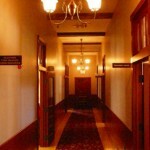 Prospective buyers were given until March of 2013 to make their offers. 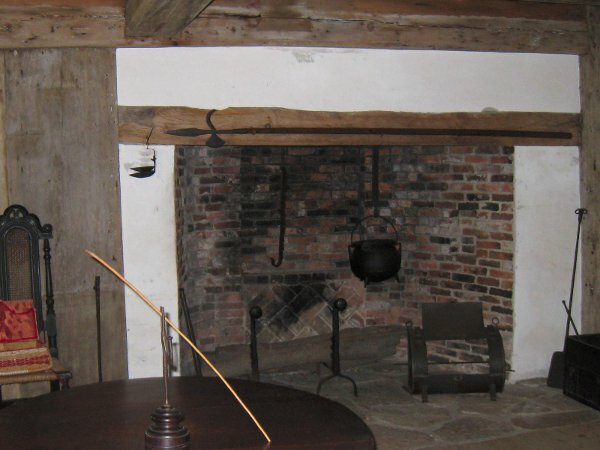 — The fact that with ownership of the Deacon Eldred House would come the responsibility to repair and upgrade the structure, which is in need of considerable maintenance and restoration. 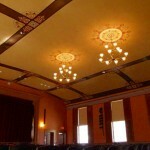 The cost of much of this work has been estimated from a low of $86,000 to a high of over $400,000. These estimates do not include plumbing, heating and electrical needs or landscaping. The facility also has serious parking and restroom problems. — The fact that in the current economy the Burgess Society has been facing rising operating costs and, consequently, is not in a position to take on the necessary and expensive capital improvements which the Deacon Eldred House requires. — The fact that the Burgess Museum’s attendance and income have been in a steady decline over the past two decades. Much of the activities and educational programs of the Burgess Society are now centered at its popular Green Briar Nature Center. This is a property the Society owns and has vastly improved over the past six years. 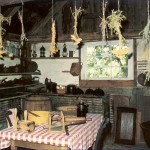 It is also a known fact that the operation of the Burgess Museum at the Deacon Eldred House location has cost the Society considerable sums each of the past years, while most of the organization’s earned income, grants and gifts came and continue to come through the operation of the Nature Center, Jam Kitchen and Wildflower Garden. Money spent on a building with problems and an attraction with declining appeal would drain off funds much better put to use for educational programs, events and exhibits at Green Briar. 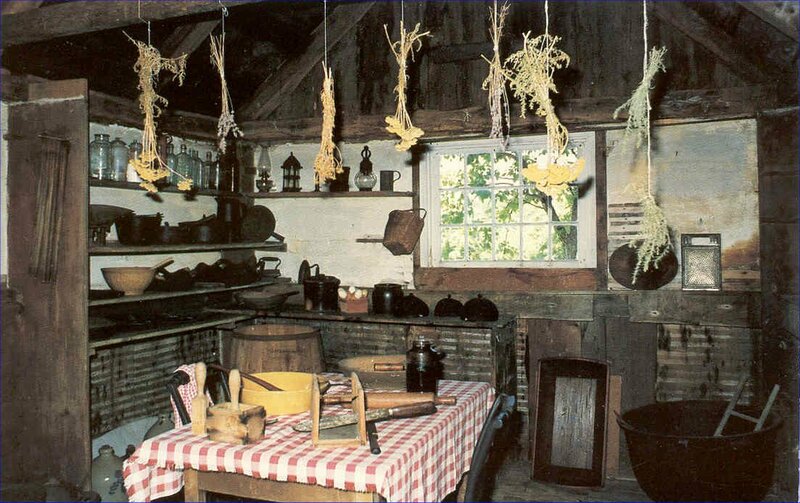 Action has already been taken to remove all Burgess Society collections and other property from the Deacon Eldred House and place them in appropriate storage or utilize them at the Green Briar Nature Center. 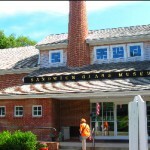 All remaining programs once held at the Museum will be moved to the Nature Center or the East Sandwich Game Farm – facilities more in keeping with the Society’s mission of inspiring reverence for wildlife and concern for the natural environment. This does not mean the Society will forget its namesake. 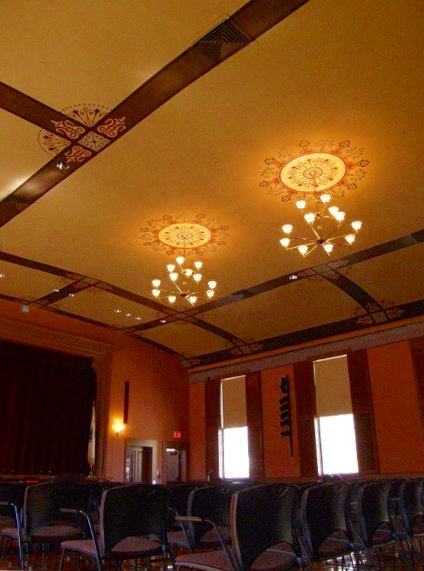 Starting in 2014 one gallery at the Nature Center will be converted into the Thornton Burgess room. Here exhibits and programs will continue to keep the legacy of this famous Sandwich native, author and naturalist alive and well. We hope this gallery will just be a temporary solution to the Museum’s closing. Over the remainder of this year, the Society’s staff will begin a process of exploring the possibility of building a new museum on the Green Briar grounds. This structure would house a reading room, provide access to Burgess related archives and host changing exhibits. 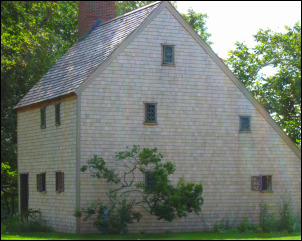 Its design would replicate Thornton Burgess’s studio at his Laughing Brook home in Hampden, Massachusetts. 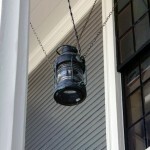 I recommend you contact our town Archivist, Barbara Gill. I just ran across a paper written by my grandmother in the late 1940’s referring to one of her ancestors, Edmund Freeman. She talks about the “saddle and pillion,” which were to be their gravestones. She further indicates that these were pictured on post cards in the town of Sandwich. Do you have images of these available? You’re in luck. The Saddle and Pillion grave yard is well documented at findagrave.com and more photos at jfredpeterson.com. I haven’t seen any of the post cards you refer to. If you find one please write back. We would love to have a scan of one. i have been visiting Sandwich for over 20yrs every early Sept & became interested in the cemetery @ the corner of 6A & Ploughed Neck Road. Is there any recorded info on the oldest people buried there? I am particularly interested in Laura & William Lynch—his little stone, “Our Willie”, is especially touching. Perhaps you can direct me to the proper place if you do not have this kind of info. The land for the Cedarville Cemetery was purchased for that purpose in 1805. The oldest graves are: Polly Hall – 1806, Tabitha Freeman- 1807, and Betty Fish – 1809. George H. Lynch married Laura Nye in 1861. He was originally from Providence, and was described as being “of Boston” at the time of their marriage. It was his second marriage. George and Laura’s son William died January 13, 1865 at age of 1 year, 6 months. Laura died in 1868 at age of 28.